The Peter Paul Company introduced the Mounds bar in 1920, and its “sister” candy Almond Joy in 1946. 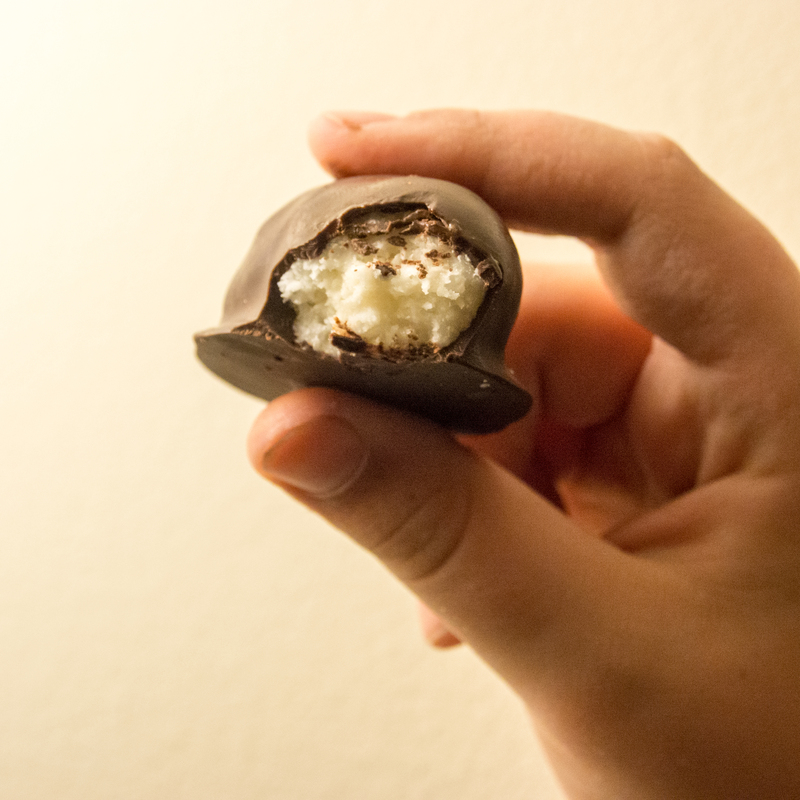 Mounds is a really old, but beloved, candy bar, a coconut confection enrobed in dark chocolate. The Peter Paul company changed hands a variety of times and is now owned by the Hershey Company. My kids adore these candy bars, although they love the Mounds more. They aren’t wild about the almond. So, I looked around the internet to see if there is a more simple recipe. Joy the Baker had a great one (http://joythebaker.com/2010/10/homemade-almond-joy/) that I was able to adapt. My kids loved making the Almond Joys, but didn’t want the almonds. In fact, one burst into tears about the addition of almonds. She wanted to know if we could just make Joys. I tried to tell her that the candy without almonds is called “Mounds”, but that “sounded gross”. So, we call them Joys. Almond Joys without the Almonds. 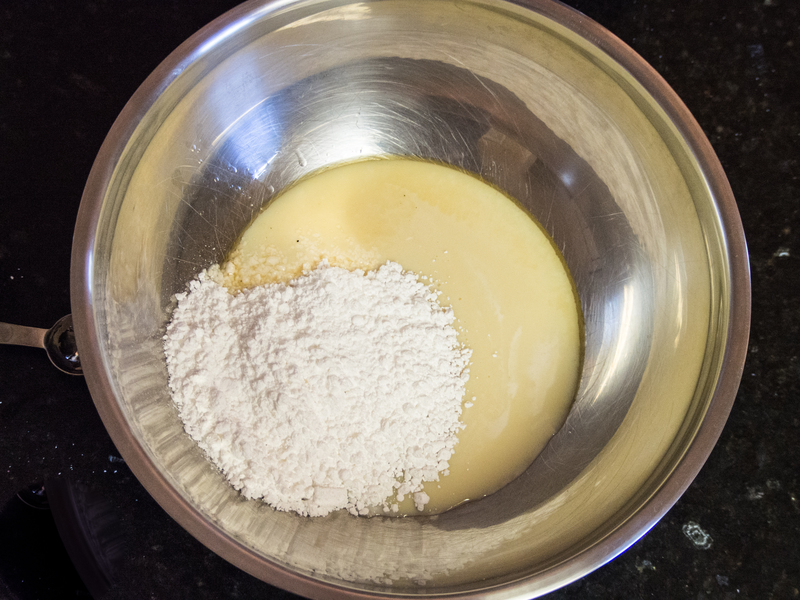 Combine milk, sugar, vanilla extract and salt in a medium bowl. Add the coconut. At this point, the mixture is the sticky mess you see above. Cover with plastic wrap and place in the freezer for about 30 minutes. 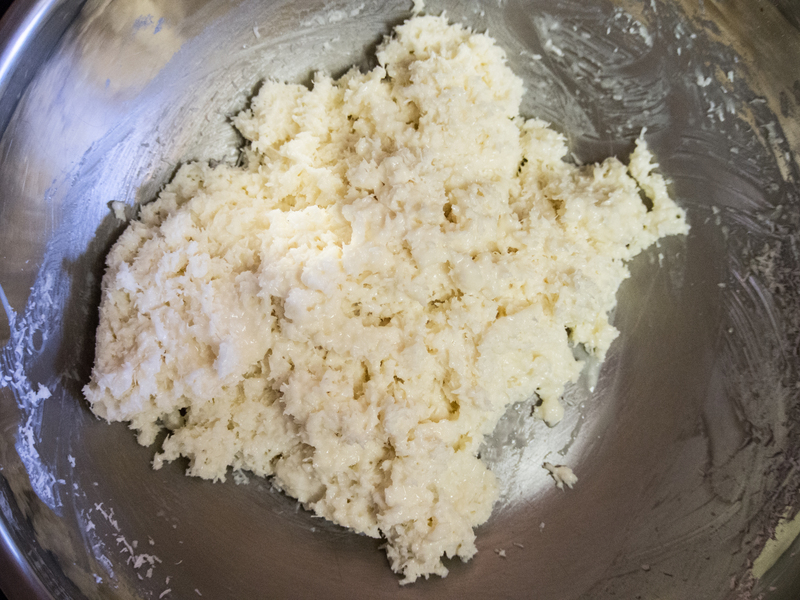 The freezer firms the mixture up a bit and makes is easier to work with. Line a baking sheet with parchment paper. 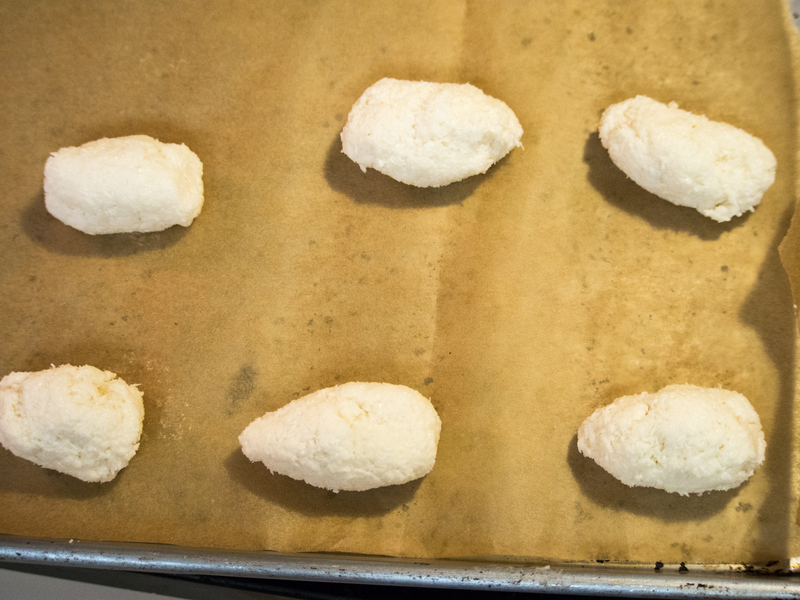 Remove the mixture from the freezer and with clean hands, shape coconut mixture into tight logs or “mounds”. They need to be rather hearty, as we are going to be dipping them in chocolate. If the mixture becomes too soft during the log making, stick it back in the freezer. Place the logs onto the lined baking sheet. Place the baking sheet in the fridge. Now, I could tell you to whip out your double boiler and gently stir the chocolate until melted. I could. But that’s not how I do it. I stick the chocolate in a microwave safe bowl and over low power, and nuke it until just melted. You have to actually stir the chocolate to check the level of melt (this is the best way I know to describe it. Seriously, you can look at the bowl and all the chips look fine and then stir it and the chips are all melted), because chocolate chips will hold their shape even if completely melted through. Once your chips are melted, allow the chocolate to cool slightly. Remove your baking sheet from the fridge. Place a log on a fork and coat with the chocolate using a spoon and return the covered log to the baking sheet. Repeat until all logs are covered. Return baking sheet to the fridge until the “Joys” firmed up and the chocolate is solid. I store mine in the fridge. The kids love them, to quote “these are awesome”! This entry was posted in Candy and tagged Almond Joy, Chocolate, coconut, Joy the Baker, Mounds on April 7, 2013 by dawn of food.